Utilise the power of teamwork and discover the root cause(s) of your issues. Generally, this powerful structured approach will be sufficient for more than 90% of investigations. To create actions and countermeasures that will eliminate or reduce the problem to a tolerable level. To help us imagine where and how 12STEPS + CauseTree can be used, we have illustrated the universe of problems, defined by dimensions of Risk and Complexity, showing where it fits within a continuum, from trivial to critical. Generally, this structured approach will be sufficient for more than 90% of investigations. 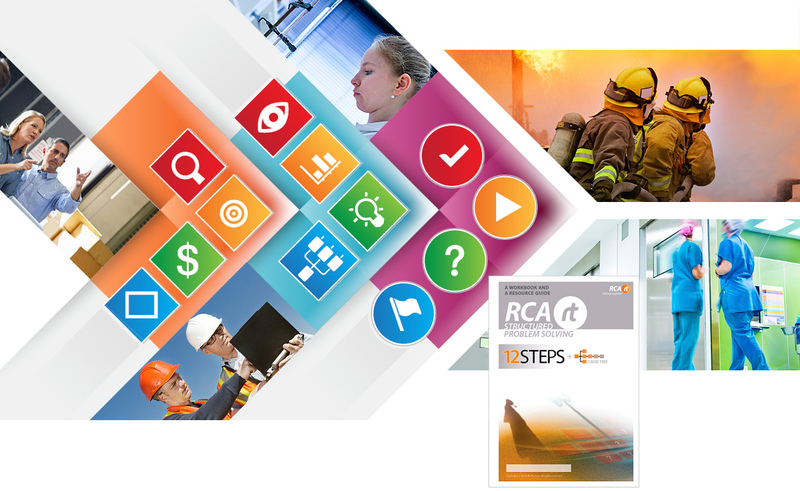 Managing problem complexity and workload through good understanding of risk. Foster a no blame culture through proper understanding of mistakes, slips, reducing of errors and learning from errors. 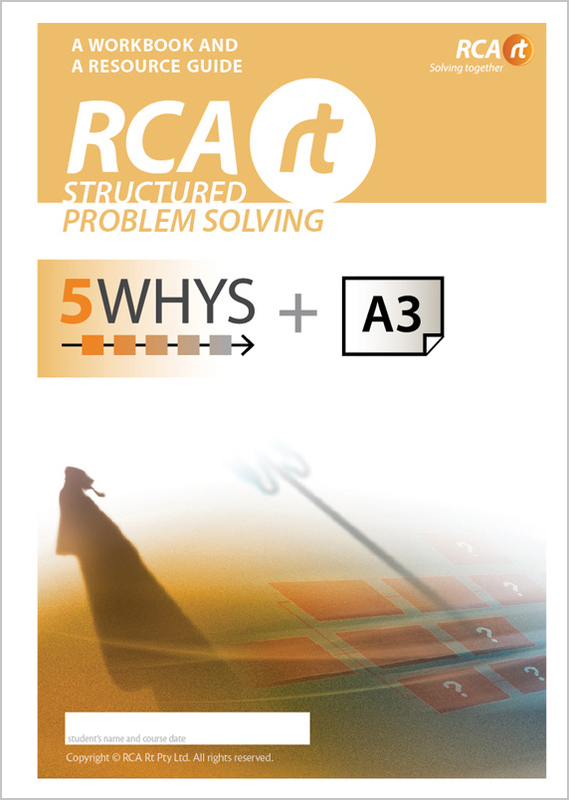 A very well designed course covering a well structured, formal method of problem solving. Very well presented. 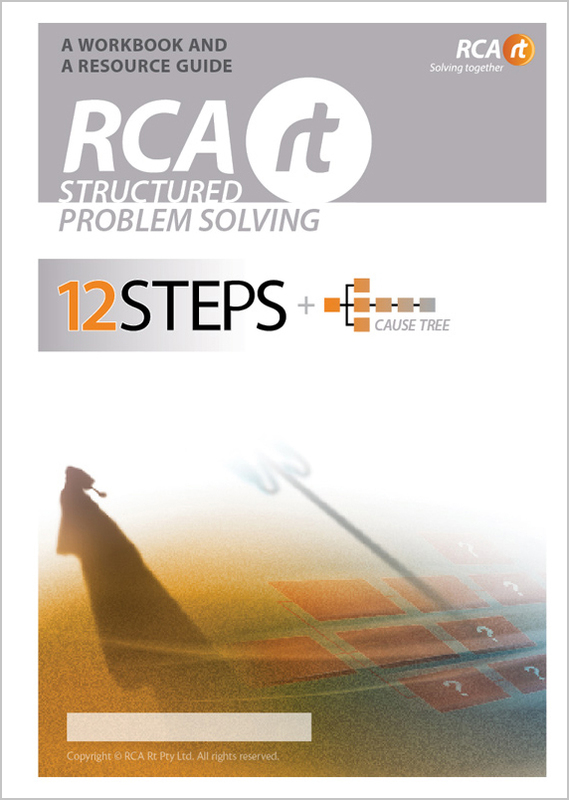 RCA Rt (12STEPS) should be mandatory from the top down, throughout the corporation. The team exercises were great. They really pulled everything together. 12STEPS is a process. A set of steps that should be worked through to get best results. In the case of a low risk, simple situation, it might be treated as a quick check list, or as a reminder of things to do. If it is a problem that must be solved correctly, then each step of the process would be documented and step would be revisited to ensure everything has been done. When a problem is presented — whether it confronts you directly, or someone asks you to investigate — you should first define exactly what you need to change, or prevent from recurring. Problem definition should give a clear target and a strong focus on a single goal/problem. Even when a problem has many parts, teams achieve more by focus- sing on one important issue, than by tackling several targets simultaneously. Aiming at multiple targets almost guarantees confusion: it’s better to solve a sub-problem and apply the lessons later. As soon as the problem is defined, and the focus is sufficiently tight, we assess and monitor data to give us a basis for comparison, and to detect improvement or deterioration from the state when the alarm was set off. It’s an uncomfortable fact of business that expensive failures are often caused by well-intentioned but rapid initial responses to problems. They succeed in keeping the operation running but, all too soon, they lead to unexpected side effects that can result in massive losses and untold harm to customer relations. Therefore we must confirm containment, confirm that the initial response — e.g. turning off the machine, isolating the product, or using a back-up valve, etc. — will protect the customer and not cause unexpected side effects. After the problem has been defined, the target has been achieved, there is a “peg in the ground”, and the initial response to the problem has been verified, finding real causes can proceed. This stage begins with the search for possible causes by having a good practical look at the process and by asking the people directly concerned what happened?, what changed? This is followed by making comparisons and finding patterns in the data. The team can then brainstorm for potential causes on the basis of genuine knowledge. The ideas generated from brainstorming are built into a cause tree to determine what leads to the problem. The cause tree begins with the event that must be prevented from recurring — or the condition that must be changed — and works back through the chain of causes until the initial system failures (root causes) are identified. Evidence ensures the validity of the cause tree and a genuine ability to prevent recurrence. Potential solutions are developed to prevent occurrence or to change the system. Brainstorming identifies solutions that may be more cost effective but could otherwise be overlooked. The best solution must still be authorised and all involved will need to understand what is happening. The changes will need to be implemented and adjustments may be needed as well. After a suitable time, the changes must be checked to ensure they have resolved the issue as planned. Finally the project can be completed by assuring the change is embedded in the system and people are recognised and congratulated for their contribution. The is, the should and the gap. Is the issue one-off event or ongoing condition? One place, one process, one problem. Assess the impact. Keep a finger on the pulse. Does the safety net and the temporary fix stop the problem from spreading? Look for side-effects. and understand causal relationships so that suitable countermeasures may be chosen to overcome the problem defined in Stage 1. Find out what happened. Look at the process. Ask the people, ask what has changed. Use 7 Quality Tools (7QT) to visualise gathered data. Every idea is a good idea. Use checklists and 7 Quality Tools. Check the flow from cause to effect. Test for switch on and off. Check for evidence. “Make it stick”, by building the fix into the system. become a permanent part of the system. Remove the cause? Neutralise the effect? New technology? Eliminate the need? Get the authority. Explain, execute & fine tune. STEP 11. DID IT WORK? Let the system know. Install warning signals. Learn from the solution. Thank everyone who helped. 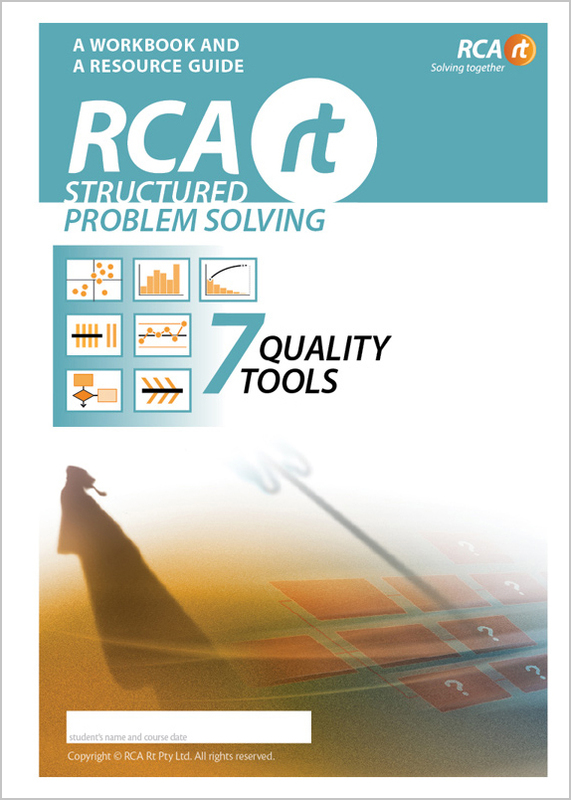 Learn how 12STEPS+Cause Tree can be supported and enhanced with powerful 7 Quality Tools (7QT).